NYC & Company refreshes its global digital-first campaign, “Famous Original New York City” with an injection of $15 million, original assets and several new curated iterations: Secret NYC, Glamorous NYC, and Classic NYC, with more to come. Visitors’ favorites will be bookable through Utrip and strategic airline partners are collaborating. Platforms include Facebook, Instagram and TripAdvisor for the rollout in 17 countries plus New York City, Boston, Chicago, San Francisco and San Juan. Read more here. 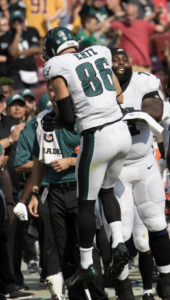 I n London, a record 85,870 fans came out for American football at Wembley Stadium on October 28th for the Philadelphia Eagles vs. Jacksonville Jaguars. Visit Philly‘s centerpiece 15-second “Frankly Philadelphia” ad on the stadium Jumbotron kicked off geo-targeted digital ad campaigns in the UK this autumn on the NFL’s Sky Sports UK website and Expedia, designed to generate bookings. The ad will run a total of 34 times and reach 8 million viewers. Activations included contests for trips with partners O2 mobile provider, The Telegraph, and American Airlines. Read more here. Like West Virginia Tourism in partnership with “Fallout 76” game developers, (See The Travel Vertical, 11/16/2018), VisitBritain will promote UK tourism in China via a partnership with Tencent. A popular 3D racing game,“QQ Speed,” will incorporate UK castles and landmarks to inspire players, while the main virtual character of the game, Little Mandarin, was appointed a goodwill ambassador for VisitBritain. Read more here. 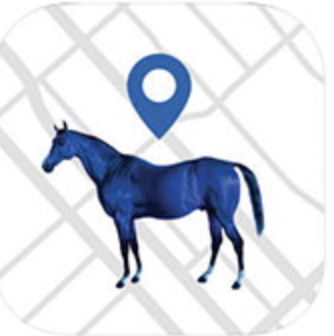 VisitLEX has unveiled a new app that uses augmented reality to create an interactive walking tour and scavenger hunt with 10 stops through downtown. Murals come to life, history is shared, and visitors can win rewards. Gamifi by Fusioncorp, a Lexington-based technology company, developed The VisitLEX Experience for the DMO. Read more here. 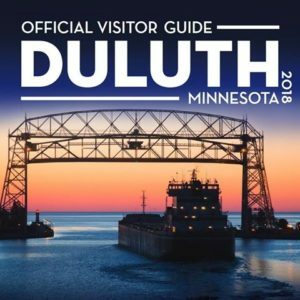 Visit Duluth has announced its intentions to partner with Arrivalist in a new initiative for the DMO to make the most of its $2.7 million budget. Read more here. 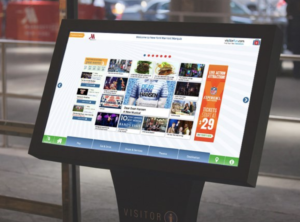 Known as a digital concierge, ExploreBoard by CTM Media Services in Stamford, CT hosts original interactive content on touchscreen displays that allow visitors to explore and self-select local interests while in-market, sending information and directions straight to a mobile phone. ExploreBoard is currently active in over 50 major travel destinations including airports, visitor centers, and hotel lobbies in New York City, San Francisco, Chicago, Philadelphia, Washington DC, Los Angeles, Orange County, Boston, Atlanta, Miami, Vancouver,Toronto, Ottawa, Kansas City, St. Louis, Pittsburgh, and Detroit. Read more here. At the Canadian Marketing Association’s 2018 Award Gala, 500-plus entries from a wide range of verticals saw travel and tourism emerge with the “Best of the Best” prize. PFLAG Canada was recognized for their remarkably clever “Destination Pride” digitally-driven campaign (See The Travel Vertical, 6/24/2018). This follows 19 wins, including three gold, at Cannes Lions Festival of Creativity for the Toronto-based creative team at agency FCB/Six. Read more here. 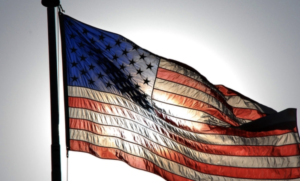 GoUSA TV, launched by Brand USA in February (See The Travel Vertical, 2/13/2018), is now available as an app. There are no subscription, fees, or logins required, available on iOS, Android, Roku, Apple TV and Amazon Fire TV. Partnerships to bring more smartphone content are being developed. Read more here. What if each stripe on the rainbow pride flag could tell the acceptance story of a destination? 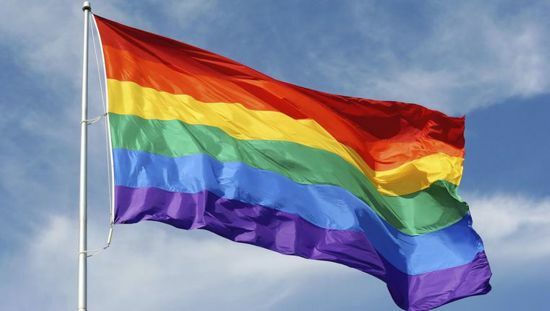 A clever idea from PFLAG Canada is running away with awards, including 19 wins (three gold) at Cannes Lions Festival of Creativity for the Toronto-based creative team at agency FCB/Six. “Destination Pride” is a data-driven digital platform that allows LGBT travelers to gauge the safety of any given country based on its equality laws. Each destination is scored on six factors; the results are brought to life in a dynamic graphic using the flags stripes as a bar graph. “For LGBTQ+ travelers, what’s legal in one place can be punishable by prison, or worse, in the next. That’s why we created DestinationPride.org. Users can search any town, city, province, state or country on earth. Our algorithm then calculates six key measures of acceptance, such as marriage equality, sexual activity laws and real-time social media sentiment. It then generates a Pride flag visualization based on the data. Each visualization provides a quick snapshot, and point of comparison for how far a destination is on its journey to LGBTQ+ acceptance, says PFLAG Canada. The current iteration of DestinationPride.org has been in development for more than 18 months, and was market-tested across three distinct prototypes: June 2017 – Beta; January 2018 – Version 1.0 and campaign launch; April 2018 – Version 2.0. The initial launch was supported by PR and a global ad campaign including 100-plus unique Facebook campaigns running in 92 countries and 46 languages. 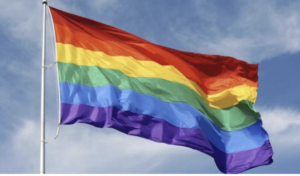 Each of these targeted local LGBTQ+ communities and contained unique creative features using that country’s flag with contextual messaging based on region-specific insights. The team logged more than 5,000 hours creating, developing, and refining DestinationPride.org and its campaign materials toward the goal of drawing attention to global inequalities with massive impact by users in 156 countries of the world’s 195 countries, as well as new calls-to-action and partnership interest from local community and major global travel brands. See the case study video here.